Alex South is an alcoholic television reporter whose career is teetering on the brink after a drunken on-air rant. But she gets a break when a series of murders take place near her London Fields home and she is on hand to cover the news. Alex is convinced she can keep it together and salvage her professional reputation, if only she can get a chance to dry out. Sarah Wilcox has rarely been convinced she could do anything, but after Alex found her drinking gin on a park bench and took her to an AA meeting, Sarah has gradually begun to gain confidence and a sense of purpose. Then an odd series of connections start to emerge between several murder suspects and the women, both of whose behaviour is becoming increasingly erratic. This is a psychological thriller bursting with local colour and fizz, but it is also a moving portrayal of the ravages wrought by alcoholism. Jody Sabral, who was living in London Fields when she wrote the book, works as a Foreign Desk editor and video producer at the BBC. This is her third novel, and a great digital page-turner for the summer. 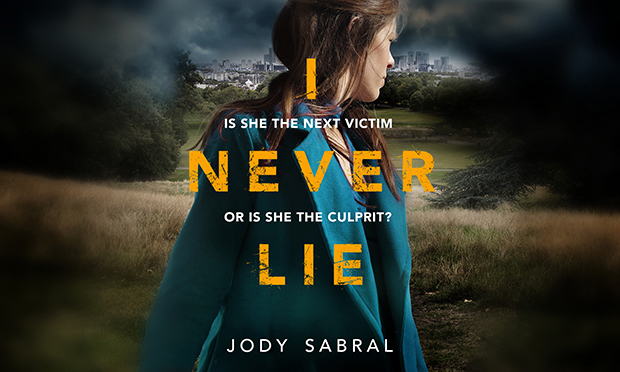 I Never Lie by Jody Sabral is published by Canelo. ISBN: 978-1-788630986.